I have seen some Pintastic Jesse Tree ornaments! Some organized, crafty people even host ornament exchanges. But, since Advent starts tomorrow, I thought I would share something a bit simpler for those of us with just a few hours left to create something. Truth be told, we spent some quality crafting time making beautiful keepsake Jesse Tree ornaments in Sunday school, but they aren’t available for take home until after our Advent skit. So… here’s my night before option (you might even be able to do this as you go since it is just a little coloring and a couple glue dots!). 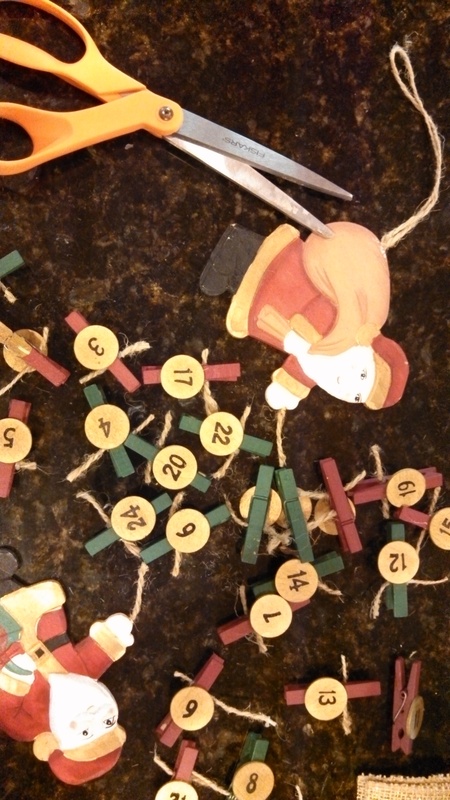 I started by taking an old Christmas countdown garland and cutting it apart for the pre-numbered mini clothespins. 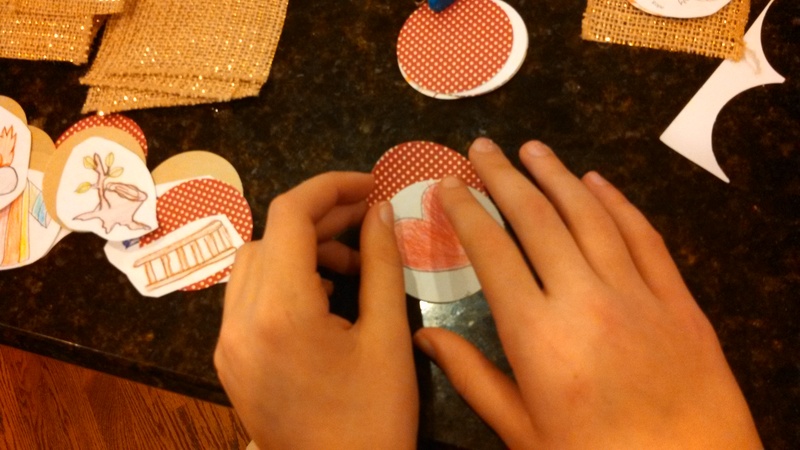 The girls colored some templates we found online, then we cut them out and stuck them to burlap ribbon pieces. These will be attached to our table center piece, one per day. 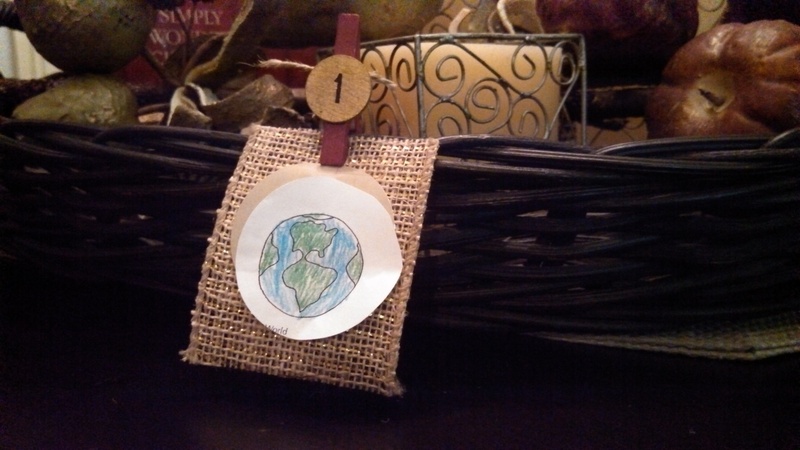 We often switch between our dining room and our kitchen tables, so I created a movable centerpiece in a basket that has one of our Advent devotionals in it. The Jesse Tree symbols will circle the basket as Advent continues. Best of all, I had wonderful helpers and a good time making them.